A coal fired boiler is an industrial or utility boiler that generates thermal energy by burning pulverized coal (also known as powdered coal or coal dust since it is as fine as face powder in cosmetic makeup) that is blown into the firebox. ZG is a coal fired boiler manufacturer in China. I believe that everyone is familiar with coal fired boiler. But do you know the important auxiliaries for a coal fired heating boiler. If you don’t, please read the following. 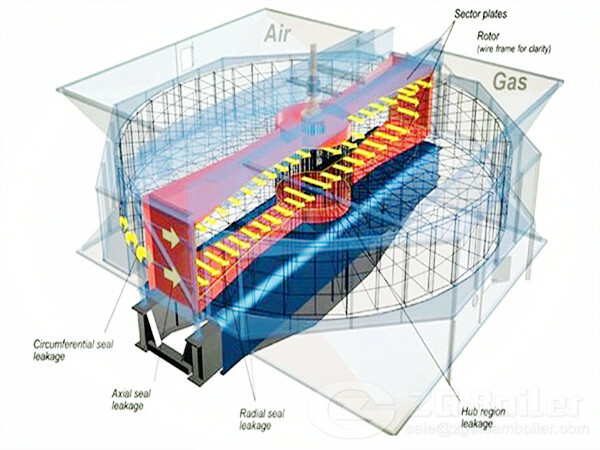 The air preheater is to raise the hot blast temperature,improve combustion conditions,reduce the heat loss of boiler combustion,recycle the flue gas heat,reduce exhaust temperature,reduce the boiler exhaust heat loss,strengthen the radiation of heat transfer in the furnace,reduce the furnace heated area,save the metal consumption of boiler heating surface. It is installed in the rear flue of coal-fired heating boiler to use the waste heat to heat the water,its main role is to raise the feed water temperature,reduce the flue gas temperature, absorb the flue gas heat,thereby improving thermal efficiency of the boiler. 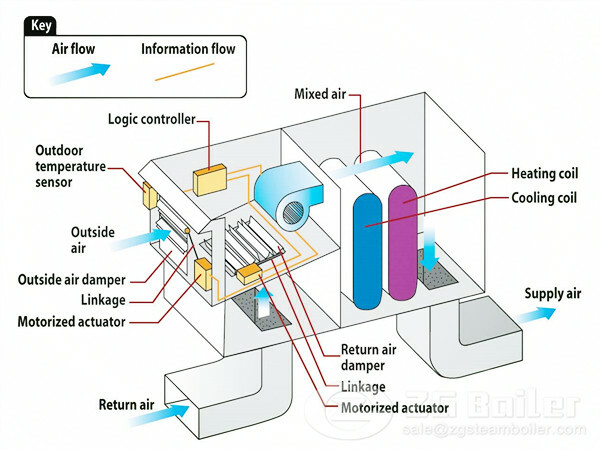 The main role of water wall is to absorb the high temperature flame in the furnace and the radiant heat of flue gas,and make part of the water become the saturated steam,the temperature of the furnace wall is greatly reduced,so that the structure of furnace wall is simplified,reducing the quality of the furnace wall, so that the flue gas temperature near the furnace wall and at the exit of furnace is reduced,which prevent or reduce the furnace slagging. 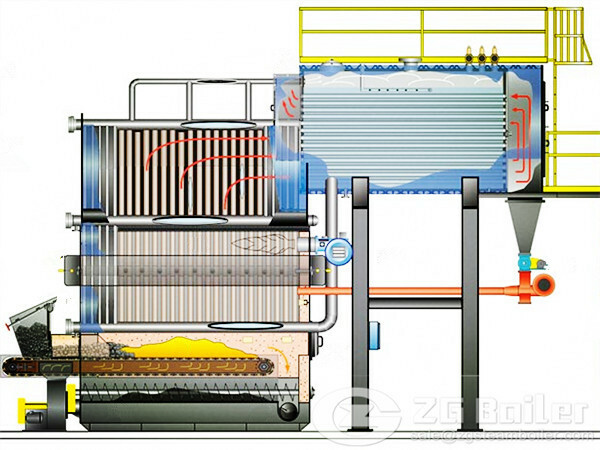 ZG coal fired heating boilers adopt the bilateral air intake,have six independent air chambers lengthwise along the grate ,the air chamber has independent adjustable air unit to adjust the air volume in order to achieve the optimum combustion adjustment effect. If you still have questions about auxiliaries of coal fired heating boiler, pleasure feel free to contact us for more details!